Also serving communities of Castle Hayne. There are 3 Memory Care Facilities in the Wilmington area, with 2 in Wilmington and 1 nearby. The average cost of memory care in Wilmington is $3,692 per month. This is lower than the national median of $4,650. To help you with your search, browse the 15 reviews below for memory care facilities in Wilmington. On average, consumers rate memory care in Wilmington 4.0 out of 5 stars. Caring.com has helped thousands of families find high-quality senior care. To speak with one of our Family Advisors about memory care options and costs in Wilmington, call (855) 863-8283. Wilmington is located on the Atlantic coast in southeastern North Carolina, a state where about 160,000 people have Alzheimer's disease or dementia. It has a long history as a port, although its economy is currently based on manufacture and research in the high-tech sector. Wilmington has a population of about 120,000 with a senior population of 15.2 percent, which is approximately the state average. This area has a total of four memory care facilities, including two in Wilmington and two others in nearby cities. The Division of Health Service Regulation regulates facilities in North Carolina for residents with Alzheimer’s disease and dementia. Its location near the Atlantic Ocean gives Wilmington a more moderate climate than in other parts of the state, increasing the comfort level for residents in memory care throughout the state. Wilmington has a rating of 76 on the Sperling Comfort Index, as compared to the U.S. average of 54. This index rates a location’s annual comfort level on a scale of one to 100, with a higher score indicating a more comfortable climate. Wilmington’s average low temperature in January is 34 degrees, and its average high temperature in July is 89 degrees. The cost of living in Wilmington is 1.8 percent above the national average, so senior citizens on a budget should not have any particular difficulties in living here. Housing is the biggest expense at 14 percent above average, and the cost of health care is also relatively high at eight percent above average. Transportation is 11 percent below average, and groceries are about eight percent below average. All other living expenses are close to the national average in Wilmington. Its status as a port city contributes towards Wilmington’s high crime rate, which should merit careful study when considering this city’s memory care facilities. Its rate of property crime is 64.5 on a scale of one to 100, as compared to the state average of 43.8 and the national average of 38.1. The rate of violent crime in Wilmington is 55.8, while the state average is 28.9 and the national average is 31.1. The overall air quality in Wilmington should raise no particular concerns for senior citizens with respiratory conditions. It is one percent below to US national average. Memory Care costs in Wilmington start around $3,692 per month on average, while the nationwide average cost of memory care is $4,798 per month. It’s important to note that memory care rates in Wilmington and the surrounding suburbs can vary widely based on factors such as location, the level of care needed, apartment size and the types of amenities offered at each community. To see a list of free memory care resources in Wilmington, please visit our Assisted Living in North Carolina page. 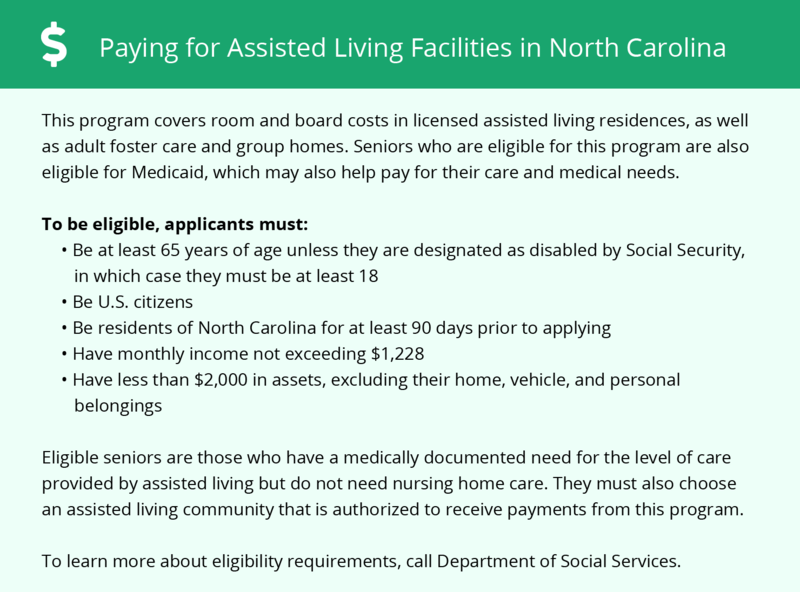 Wilmington-area assisted living communities must adhere to the comprehensive set of state laws and regulations that all assisted living communities in North Carolina are required to follow. 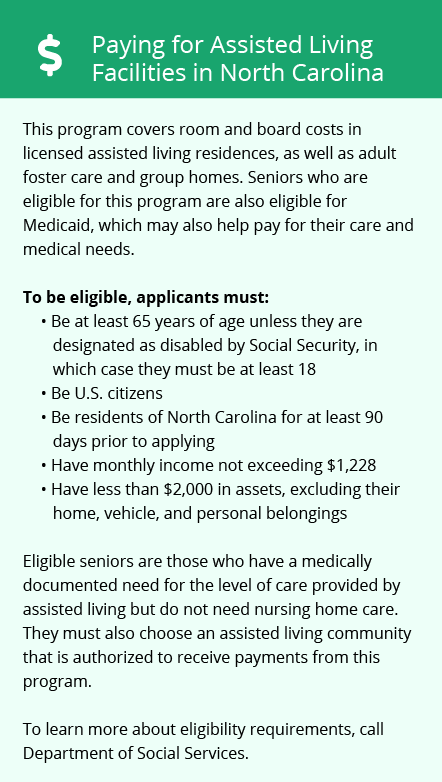 Visit our Memory Care in North Carolina page for more information about these laws.